Instant and easy recipe for Potato Peanut Sabji aka Aloo ki Sukhi Sabji, a favourite dish in Gujarati families. 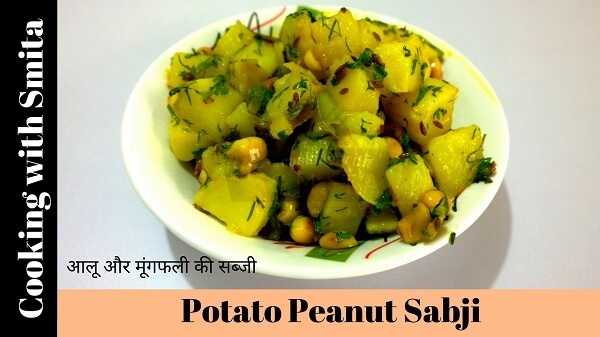 Prepared with just boiled Potato & Roasted Peanuts, you can eat this sabzi during Upvas / Fasting days with Farali Roti. Potato Peanut Sabji best served with Roti, Chapati, Thepla or Phulka. 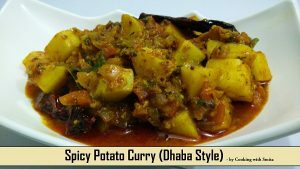 Learn how to make this delicious Aloo ki Sabzi at home with this step-by-step recipe. Take boiled Potato cubes in a bowl, add Lemon Juice, Sugar, Salt and keep aside. Crackle Cumin seeds in hot oil. Add chopped green chillies, Curry Leaves and Roasted Peanuts. Roast for 2 – 3 minutes. Lower the flame and add Potatoes, mix well. Sprinkle chopped fresh Coriander (optional) and Serve Potato Peanut Sabji with Roti or Thepla.